“The Dividing Season” by Karen Casey Fitzjerrell was recommended to me by a friend, herself a gifted writer of historical fiction, so the book had very high expectations to live up to, which fortunately it easily did. The book drew me in immediately with the all-knowing narrative first focusing on our main character Nell, an ‘old spinster’ who – after her father’s death – considers selling her cattle ranch in Texas in the 1910s in order to live her dream of travelling and freedom. The book then introduces other characters joining the busy and hard life on the farm; for example an Archaeologist and his team, who have found traces of Mayan presence in Texas and who hope to get funding for further investigations but who are stuck on the farm after an attack from Mexican bandits; and a wind-miller in search of employ. The unique situation of Nell given the time and place and her role for the lives of so many other people gave her hesitations a credible conflict and an intriguing spin. The historical research that shines through every page of the book makes this a great read just on its own. Details about the climate, the cattle ranching of the times, the role of women, the sequences about the archaeological findings and research at the time were amazing and kept me glued to those pages. Fitzjerrell has created a wonderful piece of Historical Fiction with a well written and interesting story that in its three parts takes you on a journey of self exploration and travels across the Gulf to Mexico, where a considerable part of the story showcases the simpler life of Mexicans and their culture in the jungle, an important addition and contrast to the Mexican bandits who have featured in the story before. This is an amazing achievement and a very entertaining and gripping read with great thoughtful moments and a terrific ending. Very well done and highly recommended. Hello Karen, thanks for joining us today. Tell us a little about yourself as an author and a person. Christoph, I grew up on the flat cattle prairies of Liberty County, Texas. My writing is heavily influenced by the fact that I was second oldest in a family of five children born during the 40s and 50s. The adults in my growing-up days were boisterous, fun loving, as carefree as the cattle they raised and as rich in spirit as the oil they pumped from the ground. In the 1990s I read a newspaper magazine that featured a weekly column titled, State Lines. The concept focused on personal narratives about Texas experiences and perspectives. I’d always kept a journal and was shocked how close the essays were to what I’d been writing on the sly for years. On a whim, I submitted a journal entry. The editor called me two weeks later wanting to run the essay. I was dumbfounded when he instructed me to “send an invoice.” I couldn’t believe I’d be paid for something I’d been doing for years for the simple cathartic joy it gave me. The magazine editor soon became my mentor and beloved friend. I knew nothing about writing “formally” and certainly nothing about submitting work. I ended up writing other columns for him including features and travel articles for more than eight years. Though he has long since retired, we are still in touch. Where does your connection or fascination with the American West and the portrayed cultures in The Dividing Season come from? I have lived smack in the middle of the Texas-Mexico border culture all my life. In The Dividing Season the attitude Nell has for Pablo and his family is one that I share. The affinity I have for the border region is hard to explain to anyone who didn’t grow up here. And, as a child I loved to sit in our hay loft door watching my dad and his brothers work cattle. I’d listen to their worries about drought, cattle diseases and hay prices. It was and is a life and culture I love. Believe it or not, I heard an old cowboy folk song eons ago that referred to “a windmiller” and I’ve been intrigued since. I tried to imagine a windmiller, his intimate connection to something as symbolic as the windmill is to the American West. The novel ended up as much Nell’s story as the windmiller’s, but he was the springboard for my imagination. Could this become part of a series? Could Nell return for more adventures? No series planned. However, I’ve often thought I’d return to Carrageen Ranch when Mary (Lupe and Pablo’s baby daughter) is grown. Pick up the story when she is about thirty years old. It felt like forever. I worked on it for 10 years. I shopped it around to many agents and publishing houses in the late 1990s. Most had positive things to say about my writing but bulked at a story set in the West. It was very discouraging, so I put the novel away for months at a time and set out to write a second novel. I continued to go back to The Dividing Season to fine tune, hoping to get it published. I think attitudes for American West stories have turned a little for the better. No way to count. Dozens would be a guess. Did you have any input on the cover art? During one of my last re-writes I happened to be on sabbatical at my sister’s ranch in Colorado County, Texas. I often take breaks to “ranch sit” for her when she and hubby travel. While there, I took hundreds of photos with the idea in mind of using them for my blog posts. But I knew from the first moment I loaded the photo of the tree and winding road to the gate that I wanted to use it for The Dividing Season. I’ve had many positive comments about it – mostly from men. What did you find most challenging about this book? What do you like most and what least about writing? The most challenging was, without a doubt, researching what archeologists knew of the Maya in 1910. I had a tendency to write from what is known today. It was very difficult to find books written in the late 1890s about the subject. What I like least is EDITING and RE-WRITING – No surprise there. I have at least three beta readers for everything I write. 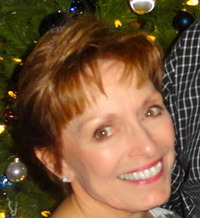 Then editor, writer, educator, Heidi M Thomas (www.heidimthomas.com) edited The Dividing Season. I felt I was in good hands because she is very aware of the difficulties of writing about the American West. Phrasing the language, weaving history into the story without burdening it, and using regional dialect. During my freelance days writing for newspapers and regional magazines, I learned that some people will never “get” me or my writing. Simple as that. I’m lucky that there have been nice things said about my writing/stories sprinkled among the bad things. I continue to believe that writers should be true to the stories in their hearts while opening their minds to honest feedback about plot, language and character behaviour and development. James Lee Burke, Elmer Kelton. Too many to list here. Out of Africa is my all time favourite book. I read it through two times and go back to it often to read passages I’ve underlined. Years ago I read The Living by Annie Dillard and have always wanted to read it again. Wonderful books both. right and wrong and what happens when all the “good” people look the other way. The story, which takes place in 1930s America, is about the blurred line between right and wrong and what happens when all the “good” people look the other way. What happened to Effie that she’d just walk out of her house and disappear? And what secrets did she take with her? Arletta Dawdy is a class act. Love her writing. So great to learn about other author’s work through those we’ve read and enjoyed. Thanks to you both for featuring Karen Casey Fitzjerrell. Wonderful interview. I’ve read and reviewed this excellent book, too. Way to go, Karen! Mary, I hope you view all my comments below…..late coming in here due to recent internet problems. I so much respect your work…..that makes me especially appreciative that you took the time to comment. Hope to see you and all others in KS in Oct! I loved The Dividing Season and I look forward very much to Forgiving Effie Beck. I’m glad I didn’t miss this informative and enjoyable post! Big thanks! Effie Beck will be “out there” soon Irene….and I understand congrats are on the table for your recent successes. Keep up the good work! This is a first-rate review and interview, Karen and Christoph, and well deserved. I am glad if my review and admiration for Karen’s work brought her to your attention…and to Paulette’s. I am sure that Karen’s next book will be as beautiful as The Dividing Season and very much look forward to it. Thank you very much, Arletta. Karen has had problems of late with an intermittent Internet connection but I am sure she will enjoy all these comments when she can access the post. Thanks for stopping by and for introducing us all to such a great talent. Seems “thank you” is all I say lately…..but I can think of no other words to you Christoph and you Arletta for the nice things you’ve had to say about my writing. The kindnesses go a long way to keep me motivated. Apologizes for being so late in responding to your comments. Forgiving Effie Beck out SOON! Wonderful! Congratulations once again on a fine book! Heidi – I’d have never made through those last stages without your help. XOXOs. 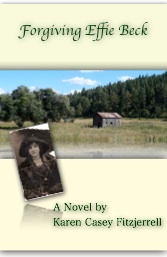 Nita, the next book (Forgiving Effie Beck) should see the light of day in July. Will keep you posted. Great interview, Christoph and Karen! I’ve read The Dividing Season, an enjoyable read, for sure. I was transported to early 1900s Texas, went with Nell on all her journeys, big and small, and enjoyed the tidbits of Mayan history that Karen sprinkled through her story. I recommend her book to everyone I know! Thanks Alice. Sorry I’m so late replying… I was unable to view comments so Christoph was kind enough to send them to me personally. THANKS again Christoph!